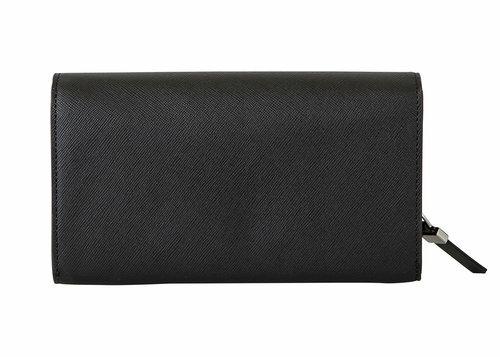 Women's wallet of the "Via Durini" collection made of saffiano leather and smooth leather with satin-finish metal details. 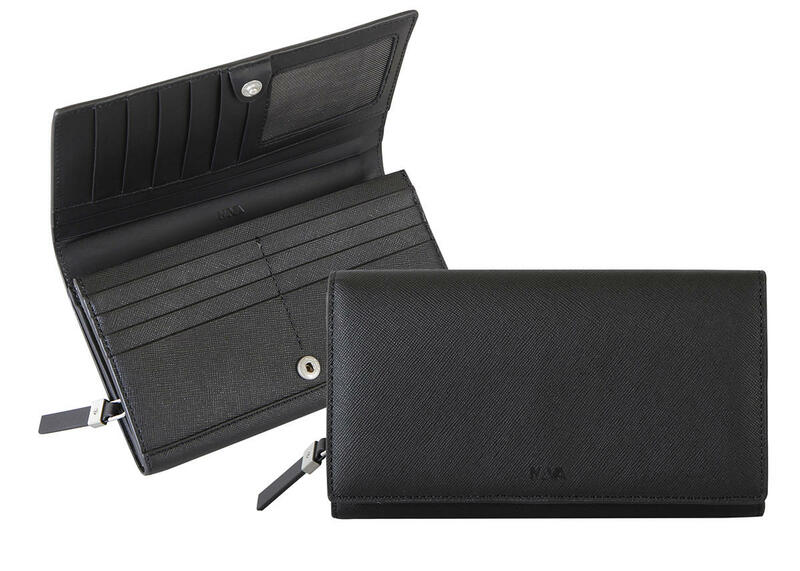 Coin case closed with zip, bill compartment and space to hold up to 14 credit cards. 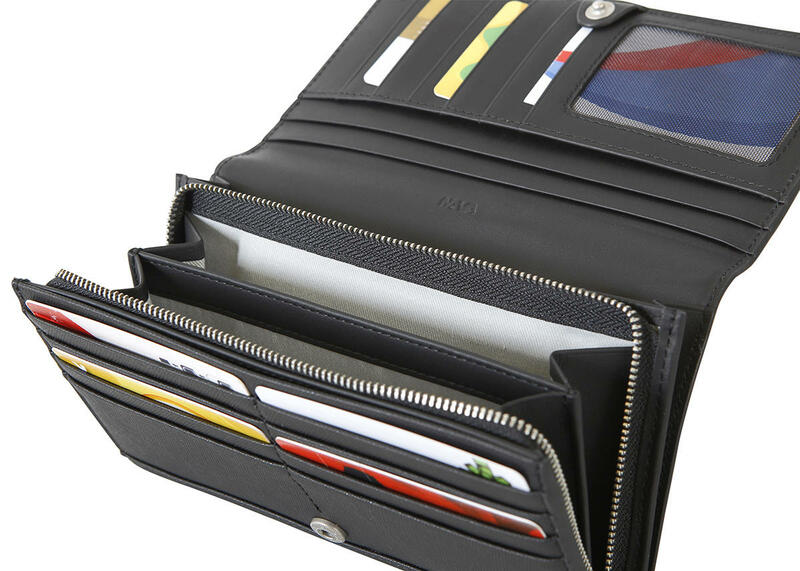 It is designed to ensure the best use of the wallet, allowing you to have all your cards easily in view.